Join me for an intro class for only $5! Click here to learn more. I continue to be awed by the power of Nia to move individuals of all ages and abilities. Fitness is a lifelong journey, a glorious exploration of our physical bodies in space through the course of our lifetimes. Maintaining our fitness empowers us to show up as the very best incarnation of ourselves we can, today. Nia is a daily practice for me, a way in, a way to sense and experience my body, mind, emotions and spirit through the gift of movement. 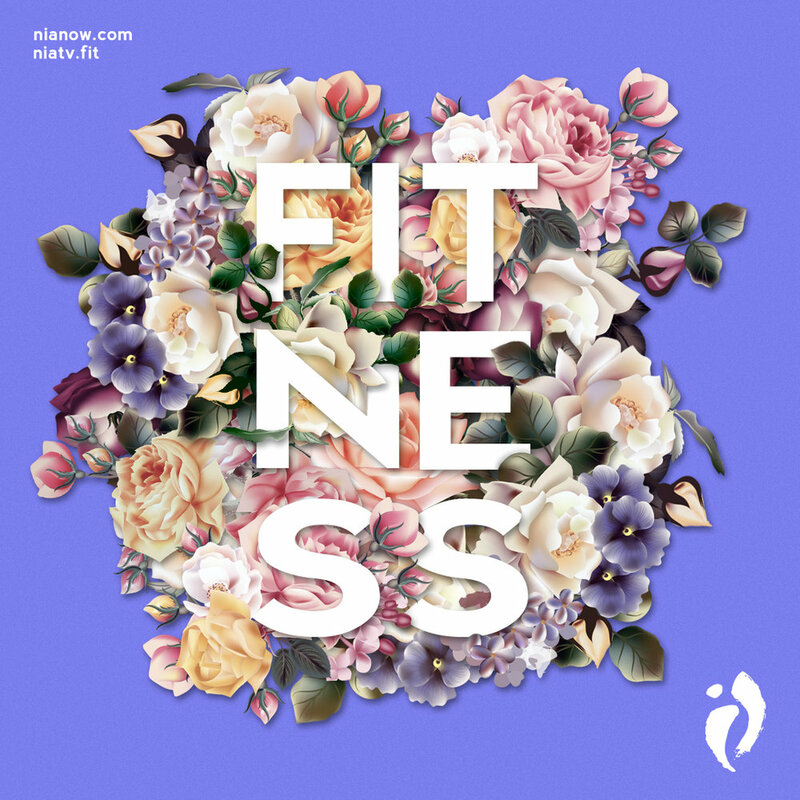 Join me for Nia fitness and watch yourself blossom. Nia means health for our whole person. I have found mental health through my Nia practice: the opportunity to sense in and notice where I am with my thoughts, what I am choosing today. My emotional health is enhanced each and every class: I get to express and sound, voice and release any blocked or stuck emotions. My physical health benefits from the range of motion, the range of intensity, and the non-impact aerobic conditioning. The health of my spirit is brought to my awareness as I move, express, dance, connect, release, and root. Nia is Health for my body, mind, emotions, and spirit — ALL of me! 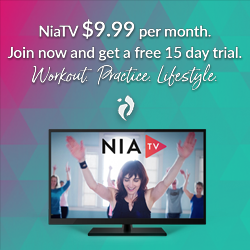 For when you cannot get to class, or simply want more Nia in your life, check out the array of gentle Nia, athletic workouts, therapeutic and educational videos available with your free trial or subscription. Click on the image above! Beauty is defined as “the quality or aggregate of qualities in a person or thing that gives pleasure to the senses or pleasurably exalts the mind or spirit.“ In Nia class, we choose pleasure, actively seek it out, welcome it into ourselves, become one with the sensation of what feels good, in this body, in this moment, today. What do I love about Nia? I love the subtle, sneaky impact of this revolutionary practice. I love how I’ve gained confidence, strength, awareness, and power in all realms of my being. I love that I get to witness my students transform before my eyes. I love that I get to express and feel the power of the group, pulling me in and up with Joy. I love that I get to bring Nia to new people each and every day… What do you love about Nia? "Erin is amazing! So much good energy!" "I loved learning new skills and movements with a wonderful instructor." "Nia is terrific. Erin is what makes it INCREDIBLE! Please offer this class again and again!" "I will implement this in my daily life!" A 3 1/2 minute video about Nia from Nia Australia... Enjoy! On September 30th 2018, I completed my fourth full marathon dressed as the resilient feminine spirit symbolized by the rose… Together we raised over $2000 for the Portland Community Free Clinic!